Artist impression of the South City Square development to be built in Woolloongabba. Pellicano and Perri Projects are set to launch Woolloongabba's largest new urban centre - South City Square - with prospective buyers now able to register interest ahead of the official launch date next month. Located on the corner of Logan Road and Deshon Street, the development sits on a 2.1 hectare site with residential apartments and a number of retail opportunities including childcare facilities, supermarkets, dining options and a boutique hotel. Officially hitting the market April 18, the 118 apartment spaces will be available from $345,000 to $699,000. Pellicano and Perri Projects have engaged a number of internationally experienced consultants including DBI Design, Woods Bagot, and Occulus, who were tasked with driving the urban design and landscape architecture. 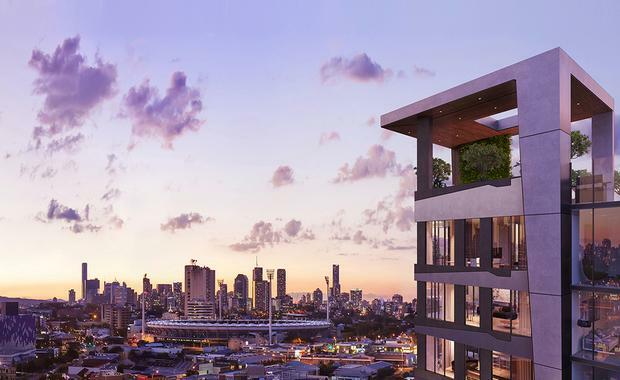 Worth an estimated $550 million once completed, Mr Pellicano said the first residential release at South City Square will mark the beginning of an exciting new era for Woolloongabba. "Woolloongabba has been voted as one of Australia's best suburbs to invest two years running in Your Investment Property's annual suburb guide and has become a highly sought after suburb in Brisbane," he said. "South City Square is strategically located on a 2.1 hectare site within an important urban renewal area and as part of the Woolloongabba Centre Neighbourhood Plan, it will define the area as a residential centre, shopping destination and meeting place. "Pellicano is already established within the Woolloongabba area with their Trafalgar Lane development currently under construction, and Eastwood Apartments and Quest Woolloongabba both completed.